Antique fishing creels, fly rods and other fishing-related items adorn the Creel Room with its king size bed, down pillows, and twig night tables. The en-suite private bathroom is a work of art. 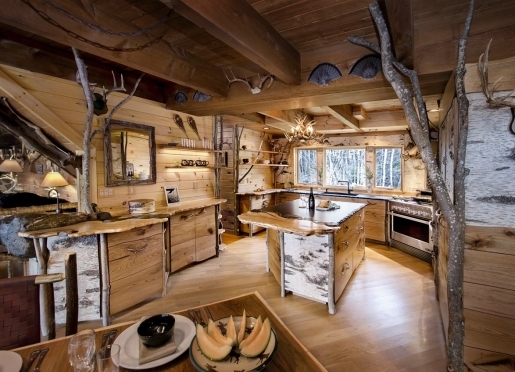 It features a spacious custom-built steam shower for two, a rustic handcrafted counter with marble sink, and a mural with lodge elements painted by Vermont artist Dotty Kyle. A new private deck provides great views. 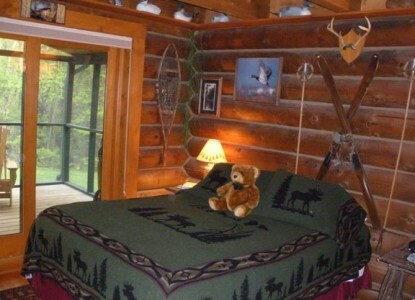 Sleep among the friendliest and most diverse group of Teddy bears you'll ever want to meet. 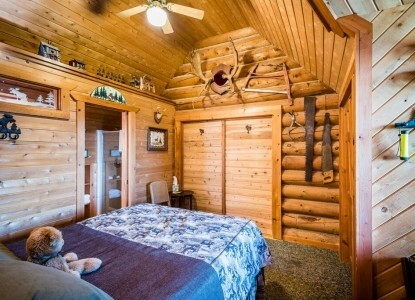 This corner room is home to a variety of stuffed bears as well as a unique collection of miniature bears. It features a queen bed, lodge wool comforter, handmade twig tables, and a cathedral ceiling lined with tongue-and-groove cedar. The bathroom made with Italian tile features a two-person steam shower with radiant floor heating. A new private deck provides great views. Duck decoys, duck calls, duck photos, and other duck stuff. 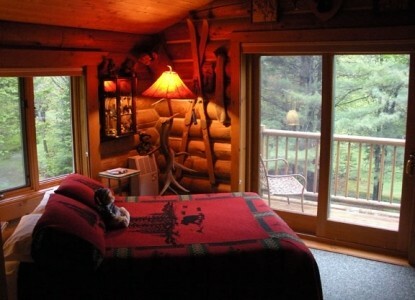 You'll find them all in the cozy Duck Room which features a queen size bed, wood floors, oriental rug, tongue-and-groove cedar walls, and exposed beams. The new sliding door leads to a private screened-in porch, perfect for quiet reading or late night wine & cheese. 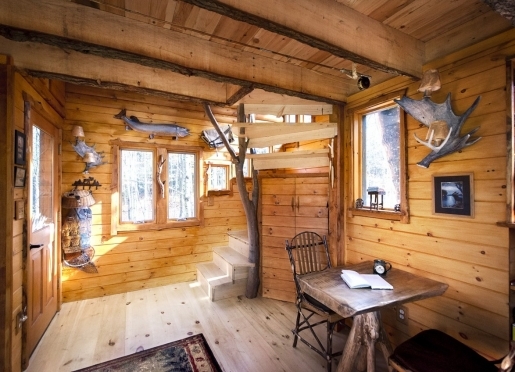 A bathroom with tub/shower is en suite, and is decorated with duck scenes painted by a Vermont mural artist. Wake up each morning to the spectacular views of Hunger Mountain and the Worcester Range. 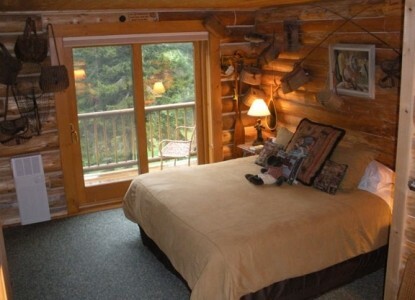 The Mountain View Room features a queen bed, cathedral ceilings, a ceiling fan, and a private bathroom with shower. The bathroom's large skylight provides a stunning view of the treetops. Reconnect with your childhood! 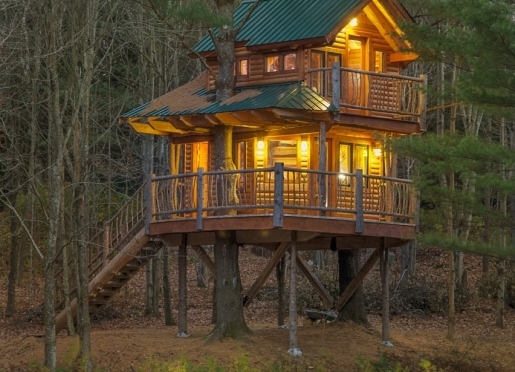 Supported by two mature pine trees, this two-story handcrafted treehouse redefines "glamping", or glamorous camping, lets you experience all of the natural surroundings. 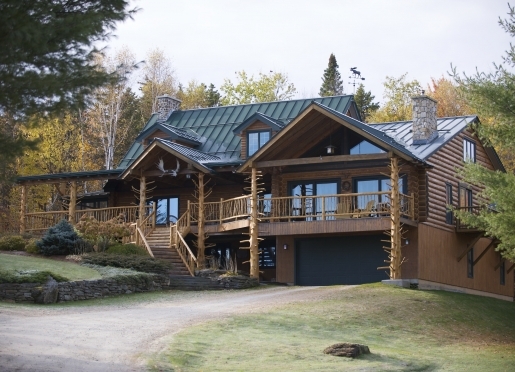 Separate from the rest of the lodge, you will be able to fully immerse yourself in the nature of the woods from the expansive wrap-around porch. The new bathroom on the first-floor deck includes a custom sink made from a rock on the property, a shower and an incinerating toilet. Guests also have a daily pass to the local fitness center for workouts and showers. 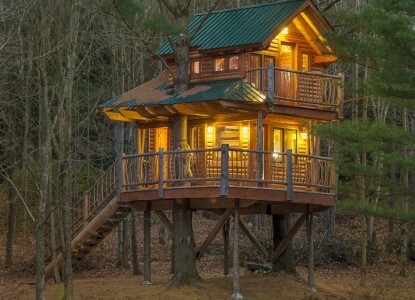 The Treehouse is only available in the spring, summer and autumn. Check In is 4:00- 6:00 pm. Check Out is 11:00 am. Please notify us in advance if you will be arriving earlier than 4:00 pm or later than 6:00 pm. Cancellation Policy: Cancellations must be made no less than 28 days prior to your arrival date in order to receive a refund. A $25 cancellation or change fee per room, per night will be deducted from the deposit. You will be charged the full amount of your stay if you cancel or change your reservation, for ANY reason, within the time period specified above. We will only refund or provide credit for a future stay if we sell the room. You may change your reservation with no penalty if done at least 28 days before your scheduled arrival. Thank you for making an inquiry about staying at Moose Meadow Lodge & Treehouse.